Seed swap, knowledge swap, stories swap. We’re swapping lots at The Garden in March – just in time to get sowing for this year. Guernsey Botanical Trust are delighted to launch their first Seed Swap Events on Thursday 10th March from 2-4pm and Saturday 12th March 10-12 noon. Seed Swaps are becoming increasingly popular all over the world including close to home on our sister isle, Jersey. The events are called Seedy Saturday’s or Seed Sunday’s and this is GBT’s inaugural Seedy Event. This year, we’ll be encouraging you to save seeds, or plants, from your garden during the growing season, clean and package them to bring to next years’ Seedy Event. This is particularly important to preserve heirloom seeds that have been handed down for generations. Enthusiastic plant savers (or Guardians) use the mantra ‘To keep something, give it away’. 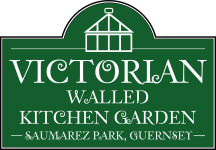 One such heirloom variety is the Lisbonnaise Parsnip which is grown in Saumarez Park’s Victorian Walled Kitchen Garden by The GBT volunteers. The variety has been handed down through at least 3 generations of the Roberts family. The Trust believes that there are other varieties of heirloom varieties on the Island such as beans, grapes, apples and pears. GBT would love to have such varieties for its collection, and ‘Preservation in Perpetuity.’ Come and share your knowledge and seeds. 2016 is GBT’s 10th birthday, so we’re holding events on the 10th of every month this year. 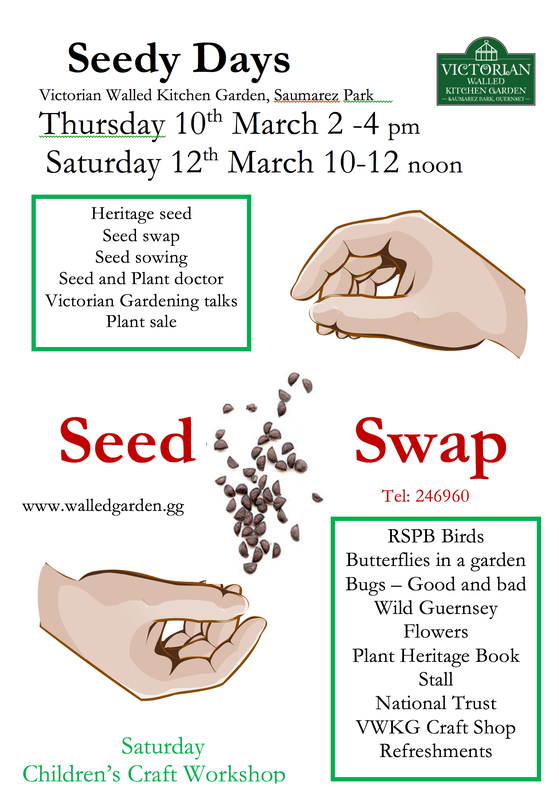 To help parents and grandparents who have commitments on one or other of the days, we’re holding our Seed Swap event on both Thursday 10th and Saturday 12th March. A big part of GBT’s mandate is to work with children and adults to teach them about gardening and our heritage, so we do hope you’ll be able to come along with your families and friends. Our wonderful catering team will be providing refreshments and cakes too … Seed Cake anyone?